Descriptions are intended to be a guide only. In any Yoga class students are encouraged to listen to and honor their bodies, doing what they can and letting go of what they cannot yet do. We strive to provide classes free of judgement and competition. True to our belief, Yoga is for every body. Chair class is a class that is accessible to all. Just like it sounds, Chair class is a class utilizing a chair for added support and balance. You will be amazed at how many Yoga poses can be modified using a chair. A perfect class for those with a limited range of motion, balance concerns, those recovering from injury or just wanting a very gentle class with out a lot of up and down off the floor. This class is drop in, no sign up required. Class length 1 hour. A slower class at a relaxed pace. Yoga 1 focuses on gentle poses with deep breathing to facilitate relaxation. Lots of modifications offered for different body types. Learn to use props and stay safe and comfortable in each pose. Stretch your body and slow your mind. In this class you will need the ability to move up and down off the floor, but only a few times. An ideal class for most people. This class is beginner friendly, no experience required and is drop in. Length 1 hour. A medium paced class. Yoga 2 incorporates some modified gentle sun salutations. A good class for the student who wants more activity than the gentle class without the challenge of a fast flow. Class length one hour. Yoga 3 is an active physical class. At times we move with the breath and at others we might pause and hold poses for a longer period of time. Yoga 3 includes poses that are physically more challenging either in strength, flexibility or balance. Prerequisites for this class include the ability to get up and down off the floor 10-15 times during the class, as well as the ability to put weight on the knees and hands. 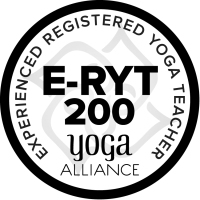 Please choose a Yoga 1 or 2 class if you are unsure which class is right for you. Length 1 hour. Similar to Yoga 3, but the room is brought to 80 degrees. This is an active, strength building class. Self pacing is encouraged. Please do not join Heated Flow if you are pregnant, diabetic, have cardiovascular or respiratory disease, or have experienced heat exhaustion. Prerequisites include getting up and down off the up to 10-15 times, and the ability to put weight into your hands and knees. Recommend bringing water and a towel. 1 hour. Free! Come explore meditation techniques in a small group setting. No experience necessary, all are welcome. This is an great way to learn and commit to a practice. Meditation builds patience and tolerance and has many health benefits. Can be done seated in a chair or on a cushion or kneeling bench. Props provided or bring your own.